The electronic cigarette is the latest trend in smoking devices. It actually vaporizes the nicotine into a water vapor, instead of burning it into smoke. The devices come in a kit and then you buy replacement cartridges as you need them. The cartridges are cheaper than conventional cigarettes and are being promoted as a “safer” alternative to smoking, as well as a quit smoking aid. They promote the health benefits as positive due to the lack of carcinogens from smoke and other chemicals. Opponents believe that inhaling water vapors may be unhealthy, but it is still too soon to tell. Because they are so new on the market, there have been concerns and questions about possible electronic cigarette health risks. 1. Liquid nicotine is not yet approved by the FDA. Even without the carcinogens of smoke, nicotine is still a chemical that is entering the body. The nicotine is absorbed through the mucous membranes instead of the lungs, but is still absorbed into the body. The FDA has done some testing on liquid nicotine and found that the chemicals can still possibly cause cancer in the body. When you puff vaporized liquid nicotine, you can actually absorb more nicotine than a regular cigarette and that can increase the health risks. 2. There are varying nicotine doses with each puff. It is very hard for researchers to come to an agreement as to how much liquid nicotine may be safe. The vaporized nicotine from electronic cigarettes can vary from lower doses, about 26mg to double that dose at 43mg of nicotine. Along with varying levels of nicotine, you are also getting a number of other possibly dangerous chemicals including; nitrosamines and diethylene glycol. Both of these substances are known cancer causing chemicals. These amounts of these other chemicals are actually smaller than regular cigarettes, but if the doses vary it is hard to tell if you are getting unsafe amounts of them. 3. 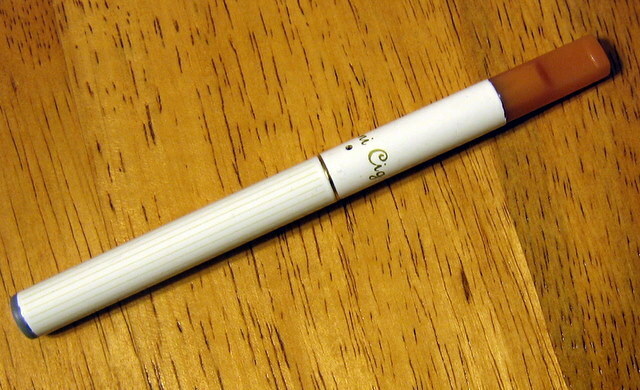 Electronic cigarettes may introduce nicotine addiction to young people. Regardless of how it is taken in, nicotine is still an addictive substance. Using an electronic cigarette still introduces nicotine into the body and young people who don’t want to start smoking may still inadvertently get addicted to nicotine. The companies who make these products make a variety of flavors including; berry, cherry, grape, vanilla, etc. which may be enticing for young people to try. The FDA is increasingly becoming concerned that these will attract young people to a nicotine addiction, which still has health risks and concerns no matter how it is taken into the body. The tobacco laws only require that a person be over the age of 18 to buy tobacco, liquid nicotine can be purchased by anyone at any age and this concerns regulators. 4. Electronic cigarettes were proven to be harmful to the lungs. Scientists from the University of Athens, Greece explained that using e-cigarettes can cause harm to the lungs. The research found that when using electronic cigarettes, the airway resistance increased instantly lasting for about 10 minutes. But even if e-cigarettes do damage to the health, they cause much less harm compared to the tobacco smoking. 5. Further regulation is needed. Take care if you are buying an electronic cigarette so that you can smoke in places where conventional smoking is not allowed. Many places are trying to ban the use of electronic cigarettes also. Researchers are unsure if there are not “second-hand” nicotine vapors that may possibly be released into the air around where they are being used. Some countries have already banned their use completely because of this theory. The electronic cigarette is made up of a few different parts and the starter kitusually has all of the necessary components that are needed to assemble and begin using the cigarette. It includes; a vaporizer that looks like a traditional cigarette with a light on the end that lights up as you take in some of the nicotine, cartridges that contain flavored nicotine and a power supply to charge the vaporizer. When you get your starter kit, you put the mouthpiece, the vaporizer and the cartridge together from three different sections. You then attach the power supply and allow it to charge prior to use. Before using you will unplug the charger and use the vaporizer like you would a normal cigarette, the only difference is you don’t need to light it up. When you use an electronic cigarette, it isn’t much different than a traditional cigarette. You place a cartridge into the vaporizer and inhale in through the end or mouthpiece. The vaporizer turns the liquid nicotine into vapor that can be inhaled just like smoke, only without all of the carcinogens and chemical in smoke. When a cartridge is finished, you just remove it and replace with a fresh cartridge. Keep in mind that the vaporizer must be charged with the power pack that plugs into the wall before it is used. You do not need to replace the vaporizer, but will need to buy replacement cartridges periodically. They are sold in a variety of tobacco flavors like; regular, light and menthol. You can also get specialty flavored nicotine such as; grape, vanilla, chocolate, green apple, banana, etc.